It’s no secret that the extent of my maternal skills is having a garden, and seeing as how I’m already tired of taking care of it after two months, I know that I’ll never have kids. But most people I know do have kids, so it’s not like I’m a stranger to the toils and troubles that most parents face. 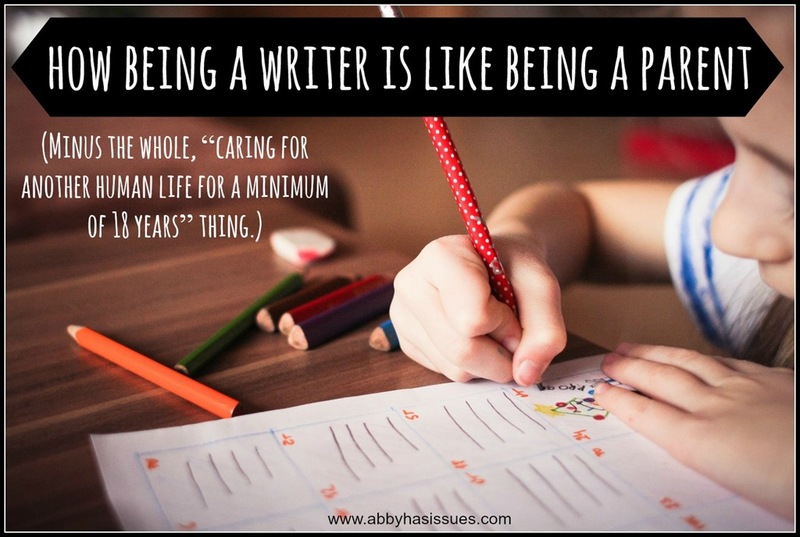 Given what they say on a regular basis, I realized that being a writer isn’t all that different from being a parent at times. Writer: This can be a good thing because something you wrote was seen by thousands of people on the Internet. On the other hand, it can also mean some of those people make it their mission to be crappy and (try to) make your life miserable. Parent: Going “viral” means someone is sick and things literally get crappy, making your life miserable. Writer: One “expert” says the best way to write is to research and plan it all out, while another “expert” says to just start writing and let inspiration guide you. 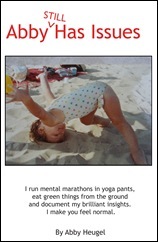 Parent: One “expert” says to plan out your child’s every movement, while another “expert” says to just let them be kids and make sure that they don’t maim themselves. Note: Either way, someone will tell you you’re doing it wrong. Writer: After working hard on something you’re proud of, it’s natural to want to share it will ALL the land because everyone should love it as much as you do. However, everyone will not love it as much as you do, and at times you’re rather annoying. Parent: After your kid does something no one has EVER done before—like started school, ate a snack or said something cute—it’s natural to want to share it with ALL the land because everyone should love your kid as much as you do. However, everyone will not love your child as much as you do, and at times you’re rather annoying. Writer: You lie awake in the middle of the night, worried that you will NEVER be creative again, or conversely, because you had a great idea that you absolutely had to write down. Parent: You lie awake in the middle of the night, either worried about your offspring or because of your offspring waking you up to get them a glass of water they will forget that wanted a mere two minutes later. Writer: While you hate to perpetuate a stereotype, you at least mentally correct the grammar of those you’re around and people who know “there,” “their” and “they’re” get metaphorical gold stars every day. Parent: No sweetheart, every time someone says, “I could care less” when they mean, “I couldn’t care less,” Santa Claus steals from cute kittens. Parent: Kids hold nothing back. If you’re ugly or smell, they’ll tell you you’re ugly and smell. There’s nowhere to hide. In both instances, there is often whining and wine, a sense that you’re usually underappreciated and that what you say is completely ignored most of the time. But at the end of the day, you would do it all over again because the joys infinitely outweigh the pains. And if even one person loves what you create—even if that one person is only you—it makes it all worthwhile. This entry was posted in Uncategorized and tagged blogging, children, kids, Scary Mommy, writing. Bookmark the permalink. Both a parent and a writer. Should I kill myself now? Hilarious. Hah! Nailed it! So true! OH Abby…you got all of this so right. Once again, you nailed it! I was just saying the creativity prayer (oh please oh please oh please let the words come) last night. Oh, you should totally have some kids right now! Just start doing that. It’s my understanding that people without kids enjoy when other people suggest that they need them or something like that. Lol. The analogies are frightening. Funny, the post I tried to write compared policing to parenting. Also frightening. Oh, no. Never going to be any kids over here, but I was thinking that if I adopted either a kid or a drinking problem I would have better material and be more popular on the Internet. But both sound kind of expensive, so I just settle for being a neurotic writer instead. Yep, bedtime problems are like deadlines except most of your screaming as a mom is out loud.